Unlike the majority of books that examine Korean art from broad, sweeping perspectives, Korean Patterns is a closer look at traditional patterns on the Korean peninsula over the centuries. Specifically, Korean patterns and their use in classic food, clothing and shelter are examined in this watershed coffee table book, the perfect addition to your artistic library. 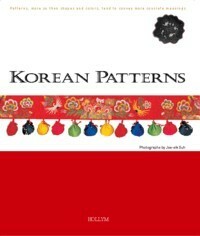 Weiterführende Links zu "Korean Patterns"
Unser Kommentar zu "Korean Patterns"